In the 3rd round of the superstructure part of the Fortuna League relagation group, we will introduce ourselves at Myjava against AS Trenčín. Eight rounds to the end of the current Fortuna League. There are still 24 points in the game, and we will need to get as much as possible to rescue ourselves in the highest Slovak competition. Saturday we will play at Myjava, where we will challenge AS Trenčín football players. Myjava football stadium was the venue of our first spring match at this year´s Fortuna League. But we don´t have the best memories of it. After the goals of Čatakovič, Ubbinka and Paura, we succumbed to the differences of the class. On Saturday, we will have the ideal opportunity to undo this loss and gain three important points. 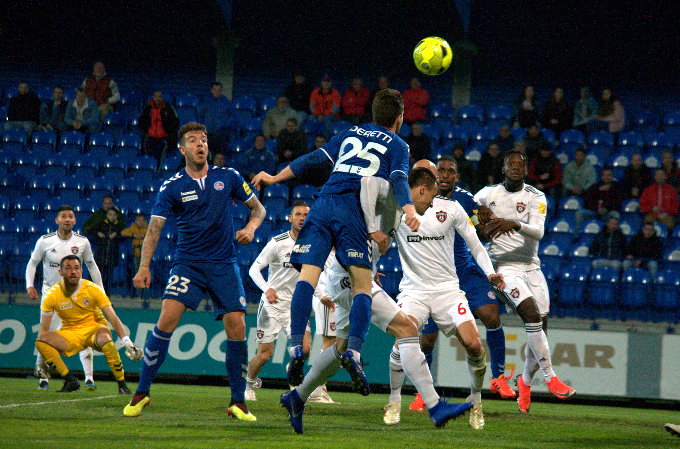 Our Saturday´s rival does not survive as well as our best season, out of six games played in spring, the statistics of football players of Trenčín is the following - one win, two draws and three losses. Recently, only 27-year-old coach Matthias Kohler, who has been a member of the AS implementation team, took the team as the head coach. After Ricardo Moniz and Vladimír Cifranič, this is the third coach who runs Trencin this season. Our club is similar in this way. 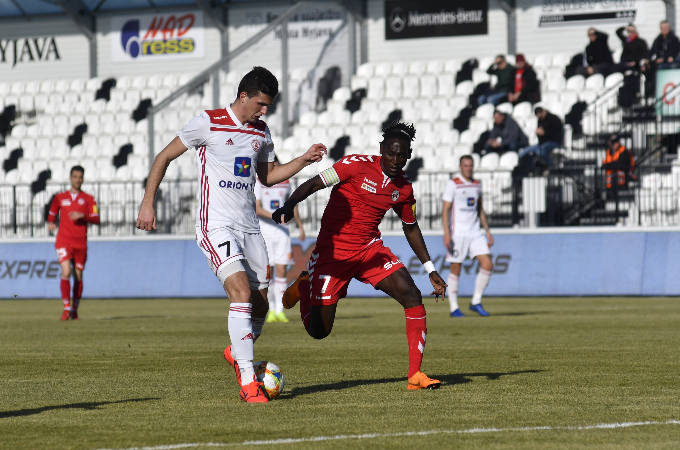 The young German coach of AS Trenčín was able to gain a point at his premiere on the bench as the main coach when his team tied under Zobor with Nitra 2:2. 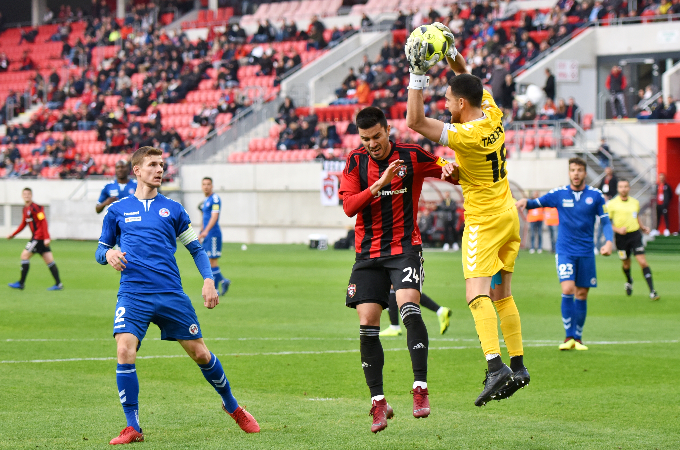 For the two matches we have played in the current season, we were pulling for a shorter end against Trenčín. In the 8th round of the Fortuna League, we lost 2:0 at the home stadium, and we also lost the first spring competition match in Myjava. "The match against Trencin was a bad start for me at the Fortuna League. I regret my reaction to seeing the red card. Also the beginnings of this club were challenging for me. But it is football, you have to work hard and believe in your skills. 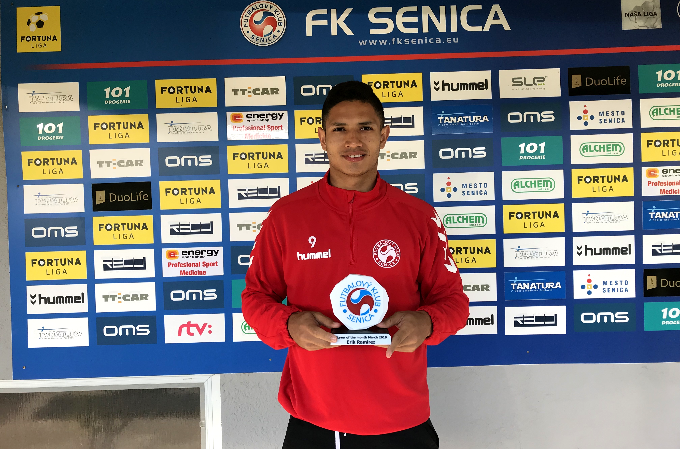 I work hard to reassure the coach that I can play in this team, " confessed the 23-year-old defender Gabriel Dubois, who did not finished the match against Trenčín because of red card. Similarly, we are still waiting for the first spring victory, in the last home game against Podbrezová was born a goalless draw. So we got our first spring point, but the win of Zlaté Moravce in Trnava complicated our situation even more. So on ViOn we already have a four point short in the table. If we want to think about rescue at Fortuna league, we have to win necessarily on Saturday. The kickoff is scheduled for 17:00. The match will be led by the referees Kružliak - Vorel, Chládek.